German court sentences 31-year-old Pakistani to four years and three months in prison for spying on Jewish and Israeli-related targets. A German court on Tuesday sentenced a 31-year-old Pakistani to four years and three months in prison for spying on Jewish and Israeli-related targets for Iran, The Associated Press reported, citing the German news agency dpa. According to the report, Haider Syed Mustafa was convicted by a Berlin court for collecting extensive material on the former head of the German-Israeli Association and on a French-Israeli professor from an economic university in Paris. 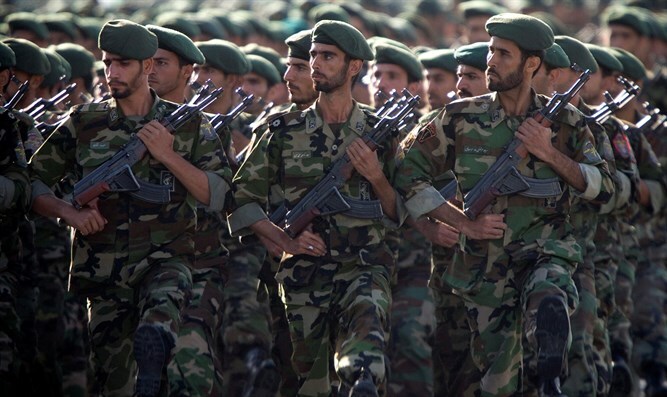 Mustafa reportedly worked for the elite Quds Force unit of Iran's Revolutionary Guard. No attacks were carried out. Mustafa, who came to Germany in 2012 to study for an engineering degree at the University of Bremen, received more than 2,000 euros (2,170 dollars) for his spying activities which included shooting hundreds of photos and creating presentations on the potential targets, according to AP. He refused to testify during the trial. News of Mustafa’s arrest first surfaced in January, when the German Federal Prosecutor announced that it had indicted him for espionage activity against “institutions and persons” in Germany on behalf of the Iranian regime from July, 2015 through July, 2016. Mustafa was arrested by German authorities on July 5 in the city of Bremen and has been in prison ever since.